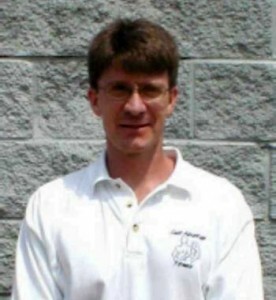 Chris Scarborough is a professional Strength & Conditioning Coach who specializes in Young Athlete Development. His information is top-notch and reflects his unprecedented knowledge of this topic. CS: As a young athlete myself many years ago, I was always interested in the conditioning aspect of sport. In 1995 I became licensed as a Physical Therapy Assistant in the State of Alabama and took a job in an outpatient therapy clinic that had a lot of patients that were young athletes. I saw first hand common injuries that young athletes suffer — many of which could have been prevented by proper conditioning. By the way, I am not saying that the athletes were “out of shape”, I am saying that the athletes were often injured because of poor techniques or habits. For example, football players, basketball players, and volleyball players would come in with knee or ankle injuries that were a result of poor running, jumping or landing technique. Baseball players, tennis players and golfers often came in with elbow and shoulder injuries due to poor swing technique or overuse of the arms and not enough of the trunk. In 1997, I became certified as a Strength and Conditioning Specialist by the National Strength and Conditioning Association and began working with athletes on performance enhancement. As a result of working with hundreds of athletes in several settings, I realized that there was far more to Strength and Conditioning than getting an athlete into “game shape”. CS: The reason young athletes follow the training programs of their sports heroes are obvious. After all, if Barry Bonds followed this routine and he hit 73 home runs in a season then it should do the same for the young athlete–right? NO!! First of all, the young athlete has a growing body and is prone to overuse injury in the muscles and tendons, stress fractures in the growth plates, and muscle imbalance injuries that a more mature athlete would be less prone to getting. Also, the large majority of world class athletes have developed a broad base of athleticism and strength prior to specializing their training in one sport. Tudor Bompa and yourself have written a great deal on the topic. Specializing in a particular sport too soon is far more likely to lead to 1) burnout from playing and training for the sport 2) early skill development in the sport, but the skill level potential is never fully realized due to a very narrow athletic ability base and 3) increased likelihood of injury. Finally, the conditioning needs of the pro athlete have been very carefully assessed by the team Strength and Conditioning coach. 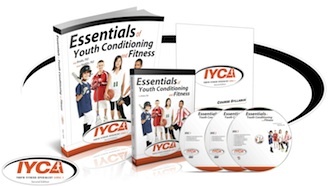 Even if the young athlete has the same needs, the conditioning program would still be different. A young athlete should develop a broad base of athleticism by doing activities that require them to run, jump, catch, throw, swim, climb, etc. By playing several sports and various other physical activities the young athlete develops all the abilities including strength, speed, agility, stability, balance, endurance, coordination and power. BG: The age old debate is ‘How old should an athlete be before they begin lifting weights’. What’s your view on that controversial topic? CS: Let me preface my answer by saying that I am referring to weight training as lifting with barbells, dumbbells and weight machines. Body weight exercises can be classified as weight training, but I am not including them in my definition of weight training. While it is safe for a young athlete to begin a strength training program with weights at an early age, I do not think that it is necessarily optimal for their development. I know many kids who would be considered strong in the weight room, but can’t handle their own body weight in certain activities. For example, one 17 year old I know can bench press 300 pounds, but can’t hold his body straight while doing a push up. His hips sway toward the ground indicating he has chest, shoulder, and arm strength that far exceeds what his hip and abdominal muscles can stabilize. He also can’t do a single proper pull up, so his pushing movement overpowers his pulling strength. Unfortunately this is fairly common. It is not weight training that is going to get him hurt, it is improper weight training that is going to get him hurt. Also, he will be far more likely to get hurt on the field of play, not actually in the weight room. I think that weight training can begin for most females around the age of 12 to 14 and age 14 to 15 for males — even then it should be balanced, supervised training. Up to that point, good technique can be taught at any age doing other activities than weight training. I do not think that an athlete has to do much weight training to get good strength development. For example, push ups, pull ups, stability ball exercises and medicine ball exercises can all be performed with minimal equipment. They require use of the same techniques as in the weight room, and develop entire groups of muscles or movements at a time, rather than isolated strength training. The strength can actually be used on the court or field when the child plays the sport. These activities can be started at a very early age. You may hear some people say that squats and dead lifts are bad for your back and knees — that is not true. It is squats and deadlifts performed improperly that causes injury. My son started squatting before he could even stand. Everything that he picks up is a deadlift (from the floor). I have never seen a child age 3 or under perform an improper squat or dead lift. That does not mean that I think that kids should be lifting heavy weights that way, but I do think that the movements should be trained using the equipment stated above. Train a child for the long-term — not just for the season. BG: Using your ideals, could you define ‘functional conditioning’ for us? One of my favorite things to do is chat with the ‘big name’ trainers in our industry about programming, speed training, strength development or flexibility for young athletes. Sometimes, in the middle of a casual conversation about nothing at all related to conditioning, I will switch gears in an instant and turn the discussion to something related to training. And that’s just what I did with superstar trainer, Alwyn Cosgrove this past weekend. Alwyn and I are good friends, so it’s not really unusual for us to be chatting about sports or family late in the afternoon on Saturday. “Ya, baseball doesn’t really do it for me – after all, I’m Scottish!” Alwyn was telling me. “Uh huh” I replied, not really listening… I was planning my big move. “It’s kinda like Cricket I guess, except for a smaller field, smaller bat, different throwing motion, different scoring system… actually, it’s not really like Cricket at all is it?” Alwyn continued on. “I guess not,” I countered… about ready to evoke my patented conversation-switching technique. “Ya, and besides, Cricket games can go on for like 4,000 years or something like that. Rugby, now there’s a game. I remember…” Alwyn stopped mid-sentence – I had finally sprung into action. “What’s the biggest mistake trainers are making with young athletes in this industry, Al?” I finally asked.